Along with local specialties, such as fruits and vegetables, local farmers themselves are developing products. At the farmers' market, you can purchase mulberry tea and mulberry jam that are available nowhere else. It also serves as the contact point for farmhouse B&B's. 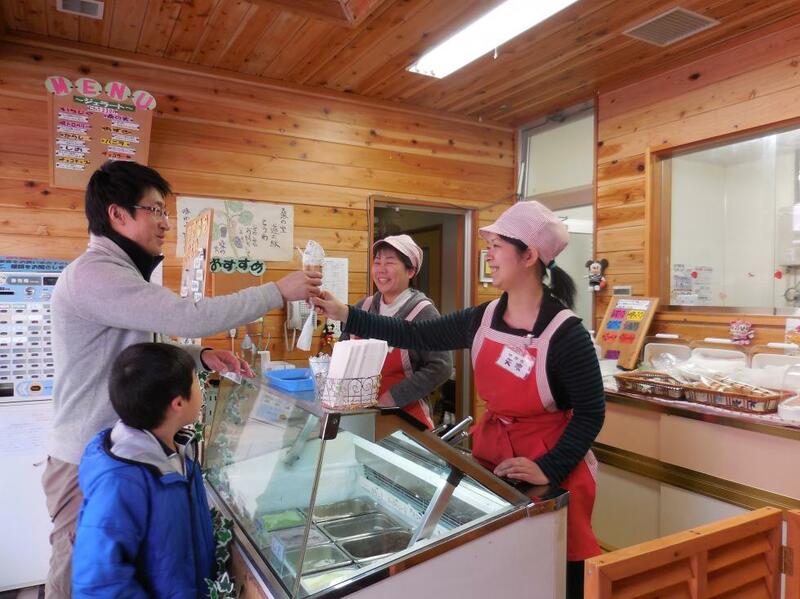 Ice cream using sake lees made in collaboration with local sake breweries is very popular.